Dubai, UAE: Reiterating its position as an innovative and customer-centric telecom company, du has announced its first steps in full support of the recently-announced Mobile Government (m-Government) visionary plan outlined by Highness Sheikh Mohammed bin Rashid Al Maktoum, Vice President and Prime Minister of the UAE and Ruler of Dubai. The cornerstone of du’s support is in driving a nationwide effort to create a Mobile Applications Developers Community, drawn from young talent in the UAE’s numerous universities and colleges who would contribute by developing mobile applications, in order to enable access to various government services via smartphones. A working team has been created by du to support this initiative. “With innovation embedded in our corporate DNA, we are well placed as a technology company to be the torch-bearer of His Highness’s vision, and to ensure the fruits of our efforts are enjoyed by the ultimate intended beneficiaries – the residents of the UAE,” Sultan added. As part of the telecom’s efforts to create a Mobile Applications Developers Community, du will approach leading universities and educational institutions in the UAE to nominate a group of their final-year students with the required qualifications to participate in the application development initiative. 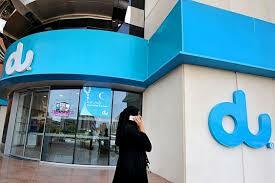 The initiative will be open for both Emirati and expatriate students. Names of the participating universities and the requisite selection criteria will be announced in the near future. du will extend maximum support to the participants by offering training, providing application development tools and professional mentoring by experts. du is a pioneer in supporting mobile applications development. Since 2007, du has supported the Microsoft Imagine Cup, and created a new category for Mobile Applications. 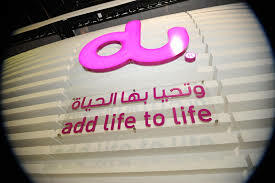 du also supported the ArabNet Developers Tournament, held in April 2013 in the UAE, to encourage the creation of a generation of App Developers.